It’s always cool seeing fan made product like the Mr. Moon laser engraved pint glass. 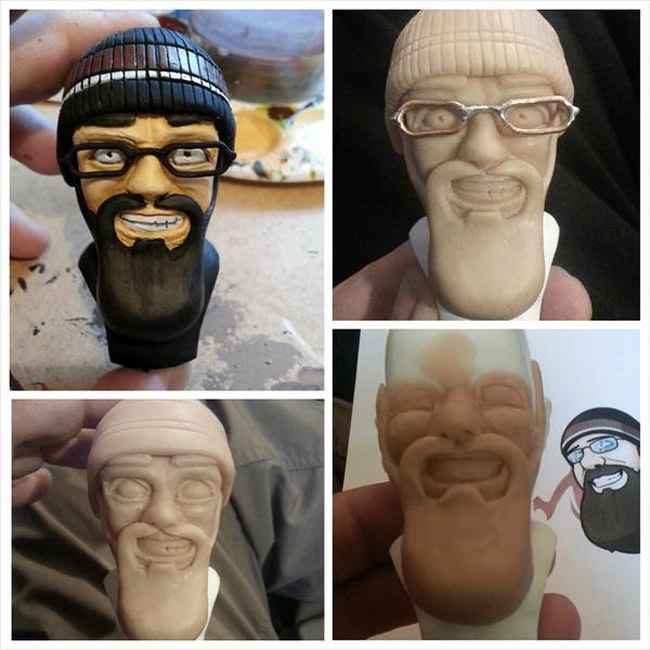 Today we have this very detailed 3D face sculpture of CohhCarnage created by Twitter user DrBarbados. As you can tell from the sculpture it looks exactly like Cohh’s carton logo of himself, give Dr Barbados a follow and visit his Big Cartel store to see other products he has created.